Check out the NVL Players Championships coverage on Sports Page Magazine. 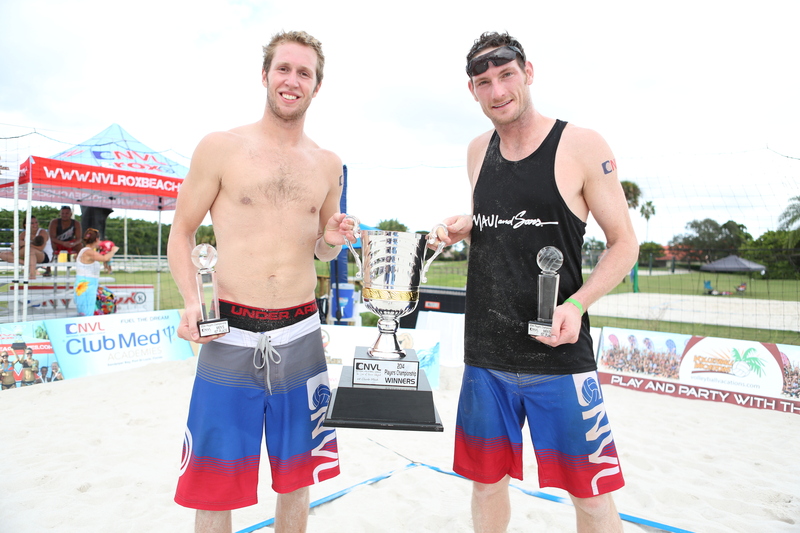 PORT ST. LUCIE, Fla. (October 4, 2014) – The National Volleyball League concluded its pro season at the 2014 Players Championships at Club Med Sandpiper Bay in Port St. Lucie, Florida with Canadians Josh Binstock and Sam Schachter earning their third men’s title of the year, while Priscilla Piantadosi-Lima (BRA) & Karolina Sowala (POL) took their fifth of six NVL pro tournaments to end a near-perfect season. 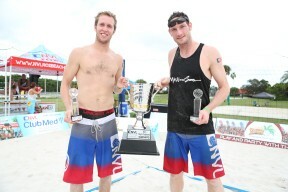 Four-seed Binstock and Schachter, fresh off a 4th place finish at the FIVB World Tour Sao Paolo Grand Slam event, upset one-seed Drew Mallin and Dave Palm, 21-16, 21-18. One-seed Piantadosi-Lima and Sowala defeated six-seed Brooke Niles and Jessica Stubinski, the only team to upset the winners this season, 21-16, 21-18. The Players Championships were held from October 3 – 4 with the top eight men’s and women’s teams competing for a $100,000 prize purse, the largest prize purse of the season. The venue is home to the NVL Club Med Beach Volleyball Academy, the country’s first-ever beach volleyball academy and high performance training center. In conjunction with the pro tournament, the NVL held a VolleyFest fan experience for family, friends, and fans with a weekend full of volleyball festivities. The league also hosted a free clinic and tournament for the fans and juniors to play alongside and with the NVL pros. Music artist Kelley James, the official voice of the league, performed for players and fans after the men’s and women’s finals at the NVL’s “Saturday Night Lights” beach party. All matches can be viewed online at the NVL Network. This tournament was one of six professional events on the NVL calendar in 2014. The league plans to expand the 2015 calendar to host 10 professional events next season. For more information about the NVL, please visit: www.thenvl.com, view the NVL 2014 sizzle reel or follow on Facebook, Twitter and Instagram.